Anisette Brasserie was blessedly a thing of the past. It was now only a wincing memory of scorched beef and bun. The Misfit had taken over the long-vacant space. The Misfit was an LGO (Le Grande Orange) project. LGO was sort of hit and miss in terms of burgers...BUT....The Misfit had recently earned the distinction of serving the best burger in Santa Monica by the readers of the Santa Monica Patch. It got 61% of the votes, while Father's Office received 17%--17% too many. I had to find out for myself. I found parking in one of the numerous public parking structures that abound near the Santa Monica Promenade. The Misfit was bustling, but my party was seated promptly in the upstairs area. This was close to the open kitchen with a nice view of the bar. Do not sit upstairs at The Misfit if you like your clothing. Periodically, the pungent smell of burnt food would waft through the area. The smell that best described it was "old athletic shoe burning in an oven." This sorely detracted from the dining experience. We ordered up a couple of The Misfit Burgers ($13 each...no fries) and settled in for a 15-minute wait. The Beef: The Misfit touted that it used only 100% grass-fed, organic, open space beef that was "really good for you." Like most things that are "really good for you," the beef in The Misfit Burger did not taste very good. The burger meat was only moderately beefy and it was scorched. This caused a bitter note of carbon to prevail. I lost interest in tracking down the source of the beef after I took my first bite. The coarsely ground beef was on the chewy side. The over-cooked burger was somewhat dried out, and it was certainly dwarfed by the bun. The beef was most likely Chuck, and the fat content was probably in the 20% range. There was a faint hint of wet-aging. The beef was not at all juicy. I was not sure where my 13 bucks went, but I was certain that it did not go to the beef in The Misfit Burger. The Seasoning: The Misfit kitchen applied a weak dash of salt and no pepper to the exterior of the irregular, hand-formed, 1/3 pound burger patty. The seasoning was woefully lacking. 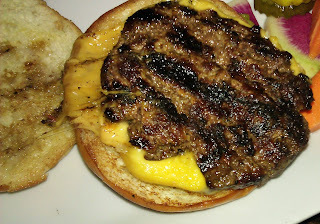 The Sear: The sear on my burger was the sort of sear that occurs when a burger is forgotten on the hot part of the grill. The sear was infused with bitter carbon. Because the burger was over-cooked, the sear failed to add an element of crispness. It simply contributed to the overall leatheriness of the texture. The Preparation: The hand-formed, small, over-priced burgers were likely pattied up during the prep cycle at The Misfit. The burgers were turned once (this is proper) on a blazingly hot gas-fired grill. I ordered my burger Medium, and it came out a very dry Med-Well. Med-Well is not the end of the world when the beef is good. A quality patty of juicy burger meat can stand up to a high cooking temp and still deliver the goods. This was not the case here. The Cheese: The thick slice of Tillamook Cheddar was non-assertive in the way this Cheddar almost always comes across. The Cheddar was moderately salty, and this was a blessing in that it compensated, partially, for the under-seasoned beef. The Bun: Woof! My bun was both oily and leathery. Had I wanted a chew toy, I would have gone to PetCo and saved a couple of bucks. My bun was clearly stale. It was moderately sweet. It was also heavily buttered and weakly toasted--cool to the touch.I immediately set it aside. The Meat To Bun Ratio: The big, stale, leathery bun dominated the small, over-cooked chuck puck. The Toppings: The tomato slice was ripe and juicy. The rocket (arugula) was crisp and fresh. The fried egg was perfectly prepared. The stone ground mustard was terrific. Wait--there was more....at the end of the meal, the wait staff brought around a tray of freshly baked chocolate chip cookies. This seemed like a nice touch until I bit into mine. It was so incredibly salty that it took a tremendous force of will not to spit this into my napkin. It mentioned this to the staff, and they indicated that the cookies were "dusted" with sea salt. It seemed that I got all of that batches salt on my cookie. It almost seemed fitting considering the quality of the rest of the meal. In fairness, my dining partner's burger was nowhere near as bad as my burger. That was like a different burger--a better but not great burger. 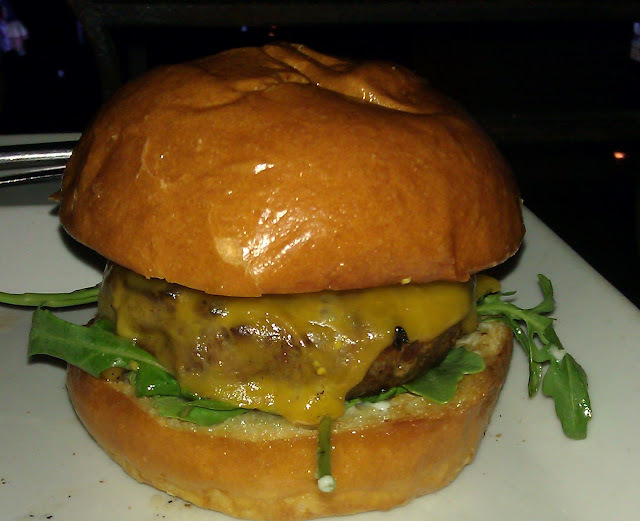 That said, this review is of the burger that I was served. What I had was over-cooked, under-seasoned, and over-priced. I was stunned that The Misfit had earned an award for what I had just eaten. Burger Review : The burger at The Misfit was a solid misfire. 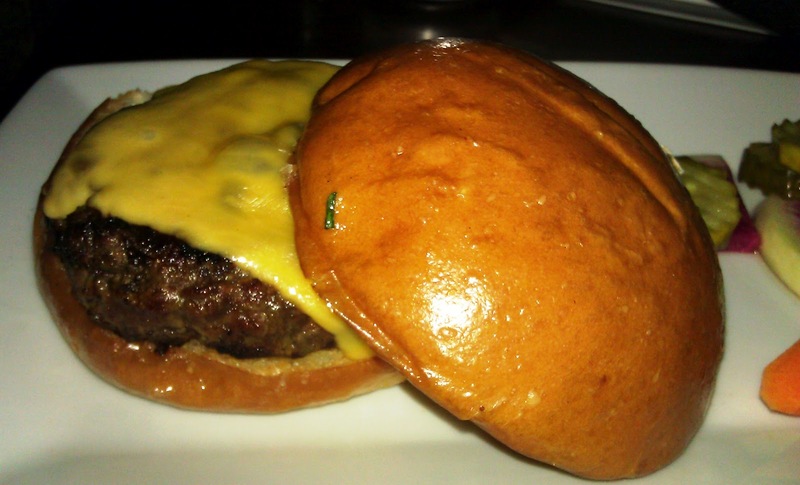 The Misfit faithfully maintained the unpleasant burger legacy of its predecessor Anisette Brasserie.